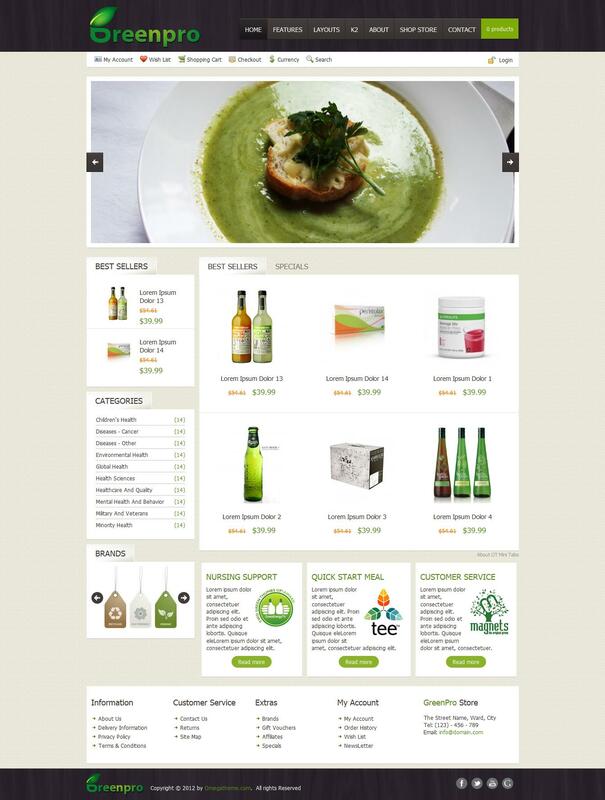 OT GreenPro - stylish template online store based component Virtuemart developers OmegaTheme. Modern and elegant design template in combination with functional proprietary platform Solid Framework, perfect for creating an online store for the sale of any goods. Built rotator materials has very flexible settings to display the information on the site according to the requirements. Integrated support for powerful content management manager K2 and additional styles to it, and significantly increase the potential of the template. The template has a fast speed of loading pages, has optimized code and supports mobile devices.